In the 21st century, chess has become a young man's game. Computer databases and engines have made the knowledge available to everyone. Since our brain works like a sponge when we are children, the age barrier for the Grandmaster title gets lower and lower. In the last couple of decades a number of chess prodigies appeared. Most notable examples are the participants in the 2016 World Championship match, Magnus Carlsen and Sergey Karjakin (who, at the age of 12 years, 7 months and 0 days became the youngest Grandmaster in the history of chess). However, apart from these two well-known players, there are also some lesser-known names, born in the 2000s. 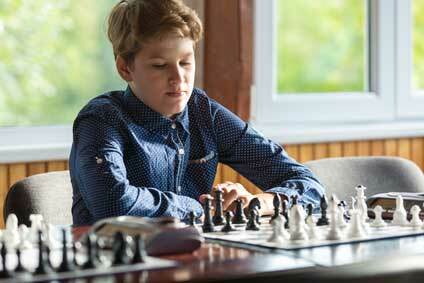 In this post, we will take a look at some of the greatest chess prodigies of the last decade. In April 2018, chess world was struck by a shock of epic proportions. In the annual Grenke Chess Classic Open tournament, International Master Vincent Keymer, 99th seed of the tournament, became the sole winner of the tournament, ahead of 49 Grandmasters! Keymer was 13 years old at a time. His performance rating of 2795 was the highest-rated performance in the chess history by an under-14. Although this result WAS incredible (The Week in Chess stated it is “one of the most sensational result in the chess history”), Keymer was not completely unknown in chess cirlces beforehand. Since 2015, Keymer has been hailed as Germany’s greatest chess talent since Emmanuel Lasker. Even Garry Kasparov, after a training session with him in 2016, stated his capabilities are extraordinary. Viswanathan Anand almost single-handedly brought chess from obscurity to mainstream in his native country. In the last 20 years, there has been a real chess boom in India. Due to his successful and long-lasting career, Anand enjoys is a real celebrity there. As a consequence, many youngsters look up to him and consider him a role-model. That’s why India has produced a staggering amount of chess prodigies in recent years. Arguably the most famous name that caused a great stir in the chess community is Rameshbabu Praggnanandhaa. In 2016, he became the youngest International Master in history, at the age of 10 years, 10 months and 19 days. In November 2017, at the World Junior Championship he scored his first Grandmaster Norm. It put Karjakin’s afore-mentioned record in peril. During the next couple of months, everyone followed his tournament results and wondered whether he will become the youngest Grandmaster in the history of chess. Alas, it was not meant to be. “Only” in June 2018 did Rameshbabu score his third Grandmaster norm at the Gredine Open tournament, at the age of 12 years, 10 months and 13 days. It was sufficient for the silver medal in the “youngest Grandmaster ever” category. But even this record was not to last for too long. 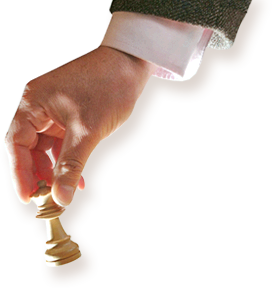 In October 2018, chess world was hit by another bolt from the blue. Out of nowhere, Uzbek chess prodigy Javokhir Sindarov scored his third and final Grandmaster norm at the Budapest First Saturday GM tournament. At the age of 12 years, 10 months and 5 days, he beat Pragu’s record for 8 days and became the second youngest Grandmaster in the history of chess. Since he became an International Master in June 2017 (when he was nine months older than Pragu), chess community didn’t follow his results that closely. However, in less than a year, he increased his rating to 2500, scored three norms and wrote his name in chess history books for decades to come. Sindarov’s success shouldn’t have been that surprising though, since he had a predecessor. Approximately one year earlier, his compatriot Nodirbek Abdusattorov became the grandmaster at the age of 13 years, 1 month and 11 days. His success was not that surprising since he had distinguished himself earlier – in 2014, at the age of 9, he beat two grandmasters. In 2015, at the age of 11, he became the youngest player ever to enter the world top 100 junior rating list. Back in the day, he was the second youngest Grandmaster in the history. Even today, he holds the respectable fourth place on this list, behind Karjakin, Sindarov and Praggnananandhaa. Let’s get back to India. Apart from Praggnanandhaa, in the vast pool of talented youngster, another name definitely stands out – Nihal Sarin. From his early years, Nihal was the definition of a child prodigy. His incredible memory allowed him to recognize the capital cities and the flags of 190 countries by the age of three. By the time of upper kindergarten, he spoke English fluently. By the age of six, he knew the multiplication table up to the number sixteen. His capabilities were also apparent over the chess board. Already at the age of 10 he was holding titled players to a draw on a regular basis. At the age of 12 he beat a grandmaster for the first time, at the age of 13 he became an International Master. He crowned this consistent progress in August 2018 at the Abu Dhabi Masters tournament, where he became a grandmaster. 14 years, 1 month and 1 day put him on the 13th place of the “youngest grandmasters ever” list. Back in 2010 a video of a young boy drinking 7UP and beating an experienced international master, Greg Shahade, went viral. Little did anyone know the boy would become one of the brightest stars of American chess and one of the youngest grandmasters in the chess history. Samuel Sevian, the boy in question, was already the youngest USCF National Master ever. He would justify high expectations in the subsequent years, first by becoming an international master in 2013 at the age of 12 years and 10 months, and then by becoming a grandmaster in 2014 at the age of 13 years, 10 months and 27 days (9th youngest in the history). Although compared to other names of this list he is almost a "veteran", he is still one of the future stars of the US chess, together with Jeffery Xiong and Awonder Liang. In 2017, he earned his Grandmaster title at the age of 14 years, 1 month and 20 days. At a time, he was the 10th youngest grandmaster in the history. He has been surpassed by Praggnanandhaa, Sindarov, Abdusattorov and Sarin since. India is not the only country experiencing a chess renaissance. In the 21st century, Iran has produced a number of strong chess players. The youngest and arguably the most potent is 15-year-old Alireza Firouzja. Alireza distinguished himself in 2016, when he became the Iranian Champion at the age of 12. In the very same year, he became an international master. Two years later, in February 2018, he scored his third grandmaster norm at the Aeroflot Open. Although he was “only” 27th youngest grandmaster in the history, he is currently one of the strongest young players in the world, with the ELO rating of 2600.